Content Marketing is the creation and distribution of content intended to engage a clearly defined and understood target audience in order to drive profitable customer action. Does Content Marketing Services Really Work? SEO: Google LOVES content. They use content in their search algorithms to see how reliable a web page is. The more content your website has, the greater your SEO hygiene will be. In fact, 33% of organic search clicks go to the first result. SEM: Content Marketing can help inspire someone to Google your name and industry where they will see your ad. Nearly 50% of marketers spend 10% of their budgets on content. 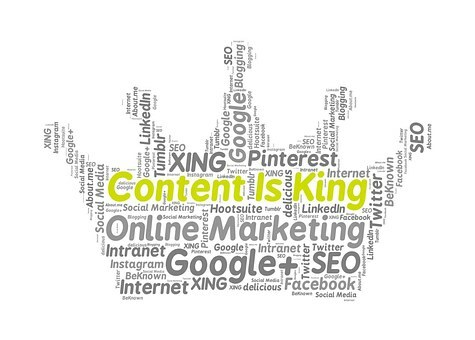 Social Media: Content is KING in social media. The more relevant content you have, the more followers you will have. 75% of all internet users have at least one social media account. 41% of people are more likely to express intent to buy when looking at web pages with branded or sponsored content. The same percentages of people are more likely to share sponsored content on social media sites when they read it on a reputable third party site. 70% of Internet users would rather read about a brand than see an Ad. 61% of consumers say they feel better about a company that delivers custom content and are more likely to buy from that company. Sponsored Content: Editorial style content created by us. Branded Content: Advertiser-branded content for use on your website, social pages or third-party sites.